Born 1853, Zundert, South West Holland. Oldest child of a Calvinist pastor and the daughter of a bookbinder. He had uncles with art connections: Uncle Vincent (art supplies and gallery); Uncle Cent (art dealer); Uncle Hein (art shops); Uncle Cor (art company). 1869, aged 16 becomes a clerk in art dealers Goupil and Cie. Works to 73 in Hague and then till 76 in London. Works as a volunteer teacher in England then as a bookseller in Holland. By 1877 (aged 24) however he decides to study for the ministry in his father’s church. Jan 1879 named acting Pastor of Wasmes, near Mons. Gives up the comforts of parsonage to help the disadvantaged miners. June 79, his contract was not re-newed. He begins a period of wandering until August 1880 he decides to study art. Millet, Rousseau, Diaz and Breton. The illustrators of the Graphic and English realist artists. Japanese art at Pere Tanguy. Seurat, Gauguin, Lautrec, Pissarro: all shown at the Eight and final Impressionist Exhibition which opened a few weeks after Vincent arrived in Paris. Gogh, V. van, Leeuw, R. de, 1997. The letters of Vincent van Gogh. Penguin Books, London. Gayford, M., 2007. 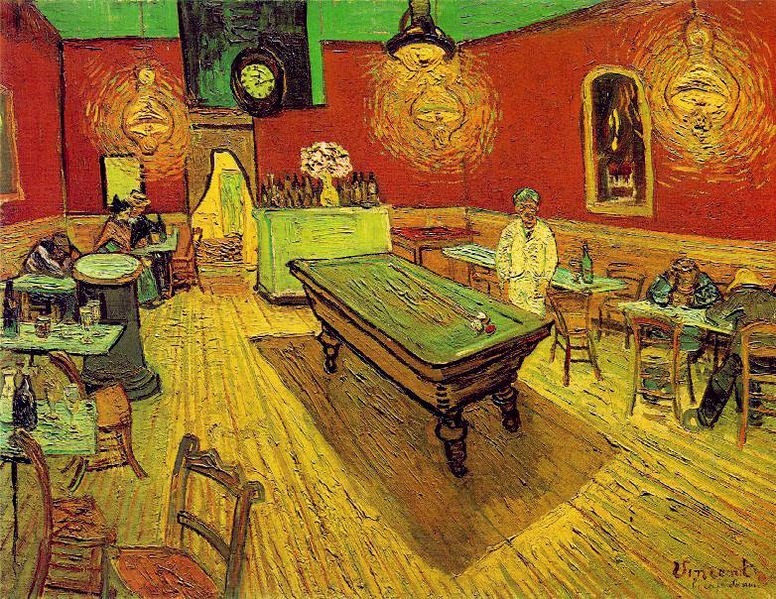 The yellow house: Van Gogh, Gauguin, and nine turbulent weeks in Arles. Viking, London. Orton, F., Pollock, Griselda, 1996. Avant-gardes and partisans reviewed. Manchester Univ. Press [u.a. ], Manchester. Smith, P., 1995. Impressionism: beneath the surface. Harry N. Abrams, Inc., New York. Conclusion: Impressionism as Art.